Areas: Ridgeland, Jackson, Madison, Rankin and Hinds Counties, and Statewide in Mississippi. Licenses, Admissions & Associations: Attorney Matthew Thompson attended Mississippi College School of Law, graduating in 2005. He was an officer with the Law Student Bar Association and earned the American Jurisprudence Award for Legislation. He earned his undergraduate degree from Mississippi State University and was an officer in the Sigma Chi Fraternity. Raised in Greenwood and Madison. Community Involvement: Coach of the Thompson Law Firm Soccer and T-ball teams. Adjunct Professor at Mississippi College School of Law. Board member, Mississippi Legal Services Corp., Board member/Secretary, Mississippi Volunteer Lawyers Project, and Volunteer Attorney and guest lecturer with Mission First Legal Aid. Immediate Past-President of the Madison County Bar Association. Continuing Legal Education Presenter, Conducts training sessions for lawyers on how to prepare divorce pleadings and practice family law. Participates in the Wills for Heroes program, which prepares basic estate planning documents; Wills, Advanced Health Care Directives and Power of Attorneys for first-responders. Chairman of the Legal Committee for his neighborhood Assoc., U5/6 Commissioner for the South Madison County Soccer Organization, Eagle Scout, and ties his own bow ties. 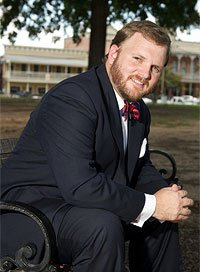 Matthew founded and operates the Thompson Law Firm, PLLC, emphasizing Family Law in Mississippi, including; Divorce, Child Custody, Child Support, Alimony, Modifications, Contempt and Appeals. Matthew began his legal career at Chinn & Associates, PC, where he served in the role of Litigation Associate from 2005-2012, and currently maintains an “Of Counsel” association with the firm. In 2009, Matthew founded a statewide practice, handling cases in Chancery and Youth Courts throughout Mississippi. Matthew has over 8 years litigation experience and has handled numerous trials, hearings, depositions, meditations and appeals. Matthew currently resides in Madison with his wife and two children.